In all the hunting and picking I've done lately I've come across quite a few truly fabulous things. Even though I don't get to keep most of them, it's still so fun to unearth the perfect vintage find. I thought I'd share just a few of them with you today. 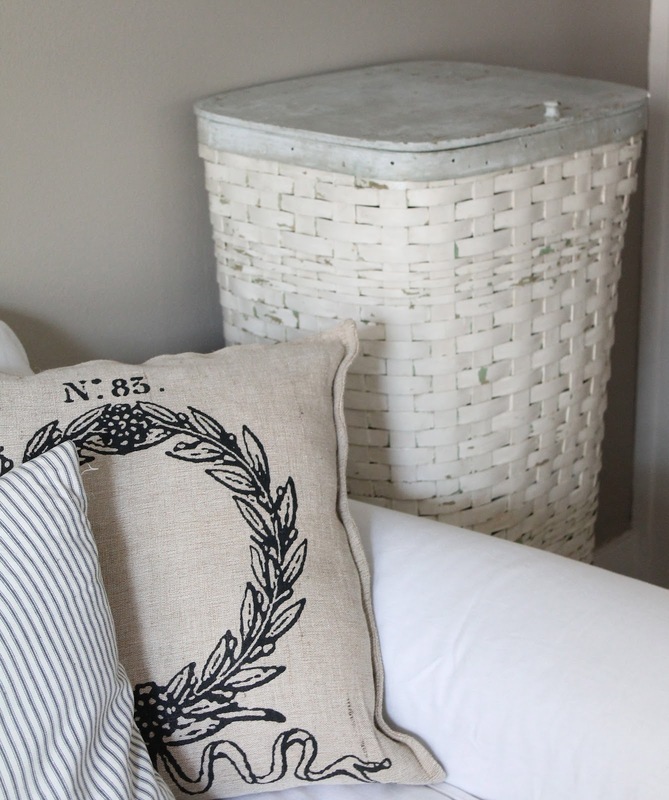 This antique painted hamper is one exception to my "no keeping" rule. I found it at a recent antiques show and it was love at first sight. The dealer and I struck up a conversation, and she admitted she didn't really want to part with it. She had only brought it because it "matched" the rest of her wares. She totally loved it, but didn't have a space for it and was keeping it in a closet. I just couldn't walk away from the great patina and perfect paint, and the hamper came home with me. I knew I had a use for it though. Space is at a premium in our tiny apartment with zero storage. The hamper is now home to all my etsy packing supplies...bubble wrap, packing paper, cardboard etc. This was desperately needed as I usually just resorted to "stacking" it all in the middle of our living room...not too pretty. It all now resides within the confines of this gorgeous hamper. Don't you just love pretty storage? 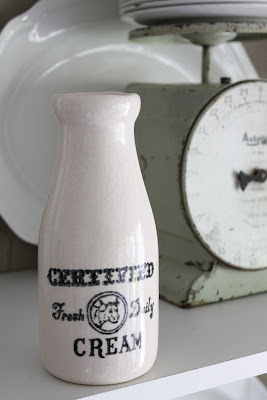 I can't really take credit for "finding" this adorable cream bottle. I bought it from Andrea of Faded Plains, one of my very favorite blogs and etsy shops. I happened to be browsing etsy when she listed it and I think it took me all of ten seconds to purchase it from her beautiful shop. It's funny that as an etsy shop owner, I don't buy much from etsy. I think I enjoy physically hunting for something rather than having it already found, photographed and listed for me online. But I couldn't resist the charm of this cute little cow creamer. I can't wait to fill it with spring daffodils! Thanks Andrea! 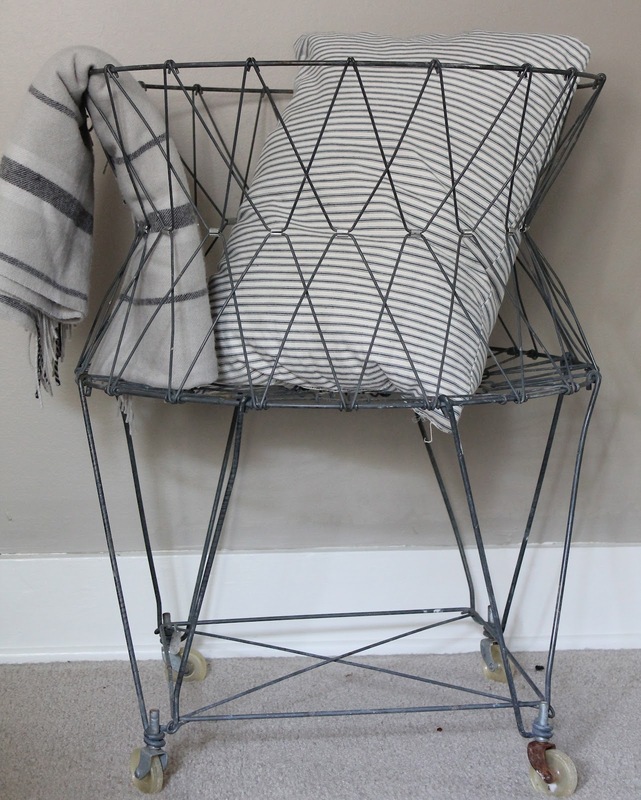 A round wire laundry cart has been on my wish list for a long time now, but this one won't be staying with me. It's fun to have in the house for a bit though! 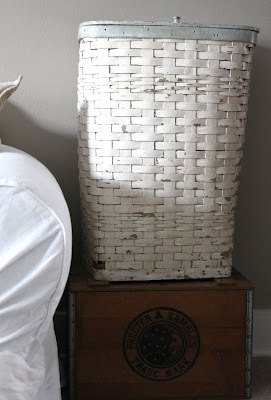 What great storage for towels, blankets, etc. 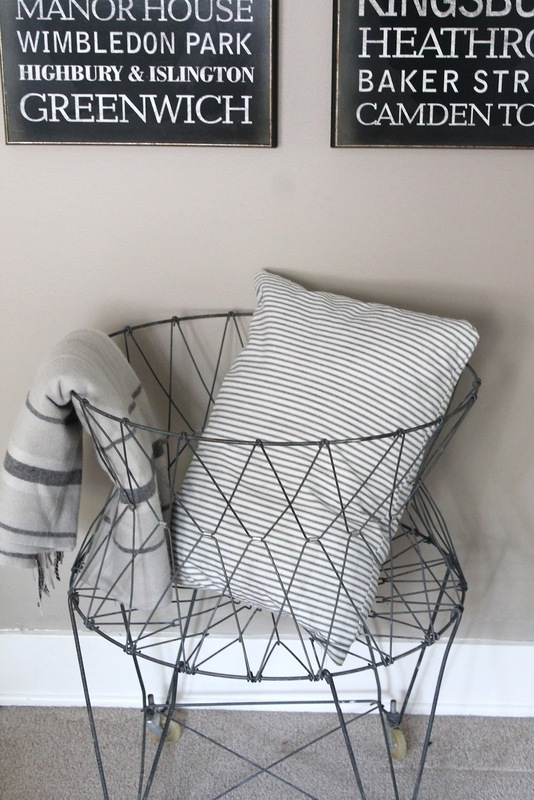 And how cute would this be in a nursery for baby blankets and cloths? I just love the silhouette and patina of it. Those are just a few of the things I've discovered lately. Tell me, what fun vintage finds have you come across? I would have to keep the hamper too! Love your finds!! at the thrift store for only 99 cents a piece. I was SO excited!! 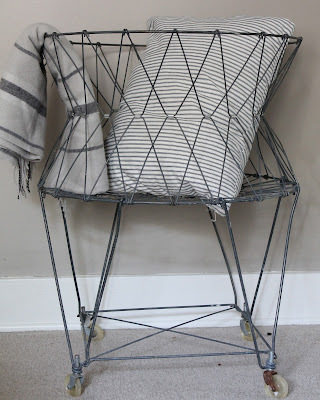 I love love love the round wire basket and have been looking for one. Do you know where to find one? Love your other finds as well. 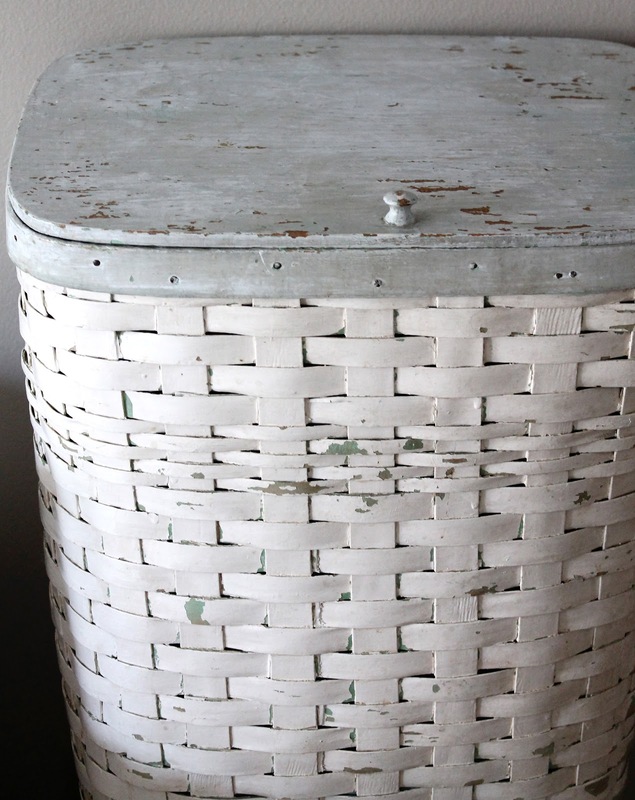 LOVE that old hamper...it is beautiful!